Do you remember this Nutterville block in Westport? Today, this block of Central Street is part of a complex of small offices known as Nutterville. But from the turn of the century to the 1970s the area was a residential district. 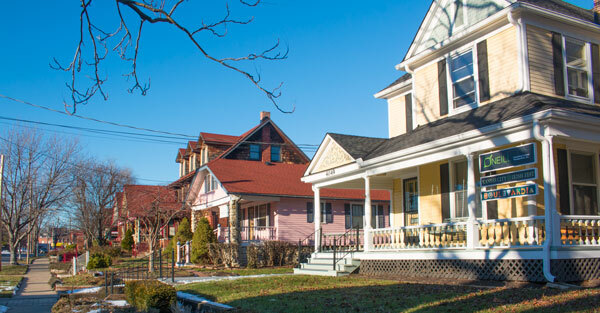 The block between Archibald and 41st Street and between Central and Baltimore today is part of Nutterville, an area of brightly-painted and carefully landscaped homes that have been converted to business spaces by the James B. Nutter company. Homes that once stood on the block along the west side of Baltimore Street are gone, for the most part. 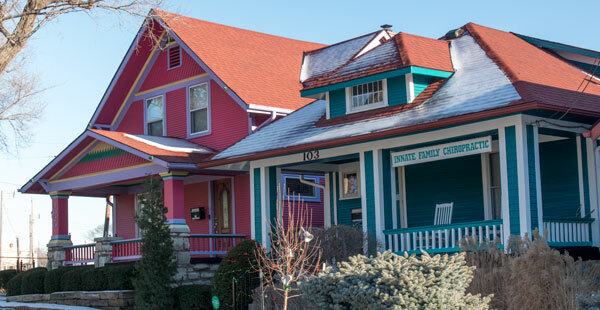 But two rows of former residences, along Central and Archibald Streets, offer a colorful glimpse into the early days of Kansas City. As part of our Uncovering History Project, the Midtown KC Post is taking a look at the 1940 tax assessment photos of each block in Midtown. This week we’re focusing on the block bounded by Valentine Road, Belleview and 37th Street. (Many people seem confused by the tax assessment photos, which all include a man holding a sign. Here’s the story behind them). Small offices on Archibald Street in Nutterville. Homes in the area date back to the Civil War, including the Nathan Scarritt House at 4038 Central, just across the street. James B. Nutter’s mortgage company moved into the area in the mid 1970s and after they bought some nearby run-down properties, he got the idea to paint them the bright colors often used in Colorado mountain towns. Archibald Street homes in 1940. Historic photos courtesy Kansas City Public Library/Missouri Valley Special Collections. The Nutter company landscapes the properties and today, they are home to small creative businesses and called “Nutterville” for their distinctive palette. The slideshow below shows the homes along Central Street as they looked in 1940. Several of the buildings no longer stand, but those that do have not changed much except for their new bright colors. Along Baltimore, most of the homes are gone. but here’s what they looked like in 1040. Do you have memories or more details about this block of Midtown? Please share them with our readers. Oh yea, that is a variation on my ctmumoe to school back in the day! I usually went north on Holmes, across 18th and through 18th & Vine. Then north on Woodland to Missouri, Lexington, and St. John.I also rode across 36th St. going through Hyde Park. 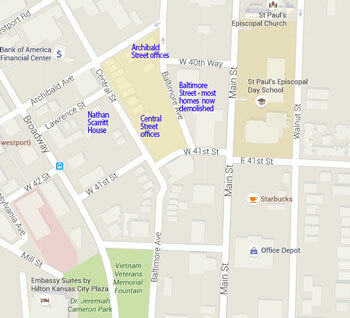 This transect of the city does take you through some KC history. I always thought I had a great commuting route. And I still ride it just for fun since I’ve retired.